Tyler Technologies is the largest software company in North America focused solely on the public sector. A leading provider of end-to-end information management solutions and services for local governments, the company partners with clients to empower the public sector — cities, counties, schools and other government entities — to become more efficient, accessible and responsive to the needs of citizens. The client base includes more than 14,000 local government offices in 50 states, Canada, the Caribbean, the UK and other international locations. Tyler Technologies has been a Diligent Boards™ client since 2014. From financial accounting and property taxes to court case management and student information, Tyler Technologies develops, delivers and supports software solutions and services for the public sector to manage complex business functions. However, like any public company incorporated in the United States, it must meet stringent corporate governance standards. For nearly three years, Tyler Technologies has been using Diligent Boards. When CEO John S. Marr Jr. decided that the company needed an efficient, secure and faster way to produce Directors and Officers’ (D&O) questionnaires, he looked at other board portal vendors and, in 2015, chose to continue with Diligent and use its new, fully integrated D&O solution. 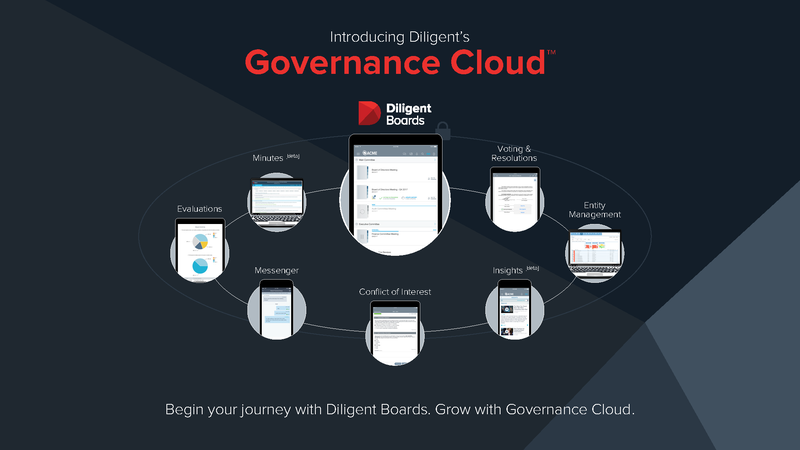 The secure Diligent D&O module is an add-on to Diligent Boards and was built to simplify the creation and delivery of D&O questionnaires. “The Diligent D&O solution changed my life,” exclaimed Caffey. “I used to print everything and put it into three-ring binders; then I would FedEx it so they would have it in time to review before the board meeting.” Caffey said that the new D&O solution has simplified her workflow process, and one of the reasons is that the information is secured online and board members now have immediate access to it. The Diligent D&O module has made other steps of the approval process easier as well. Caffey says that if anybody needs to see a D&O, it’s obtainable online, making it easier to locate. “This saves time, it saves paper costs and it saves my working hours. I also think it’s a more professional way to present to your board,” she added.